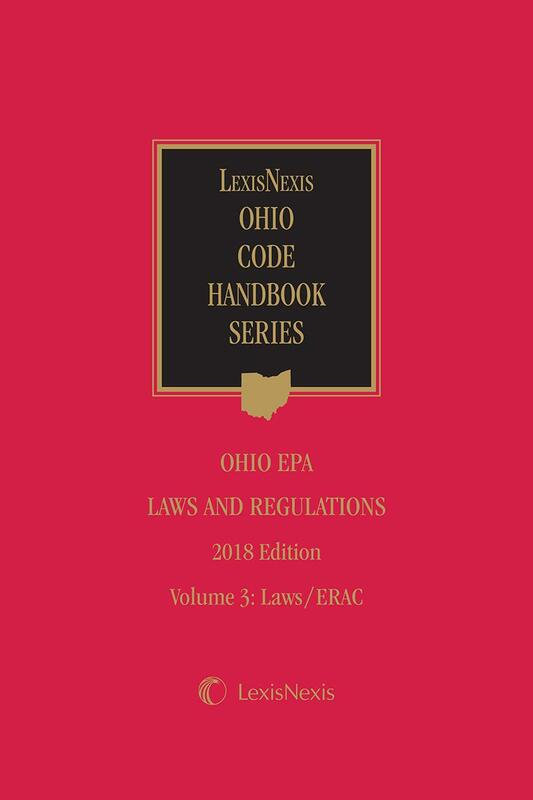 The Ohio EPA Laws and Regulations is a thorough and compact set containing the Ohio environmental statutes and regulations that are indispensable for your Ohio environmental law practice, or if you practice in any area where a trusted environmental law reference is indispensable. 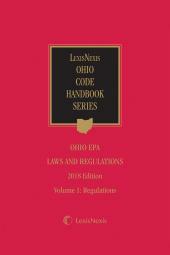 The Ohio EPA Laws and Regulations is a thorough and compact set containing the Ohio environmental statutes and regulations that are indispensable for your Ohio environmental law practice, or if you practice in any area where a trusted environmental law reference is indispensable. These volumes contains cross references to relevant statutes, rules and treatises, case notes from opinions of the Ohio Supreme Court and Appellate Courts, Federal cases that construe or interpret Ohio statutes, and the full text of the decisions of the Environmental Review Appeals Commission (ERAC). Purchase your copy today and see why LexisNexis products are preferred by thousands of attorneys nationwide.